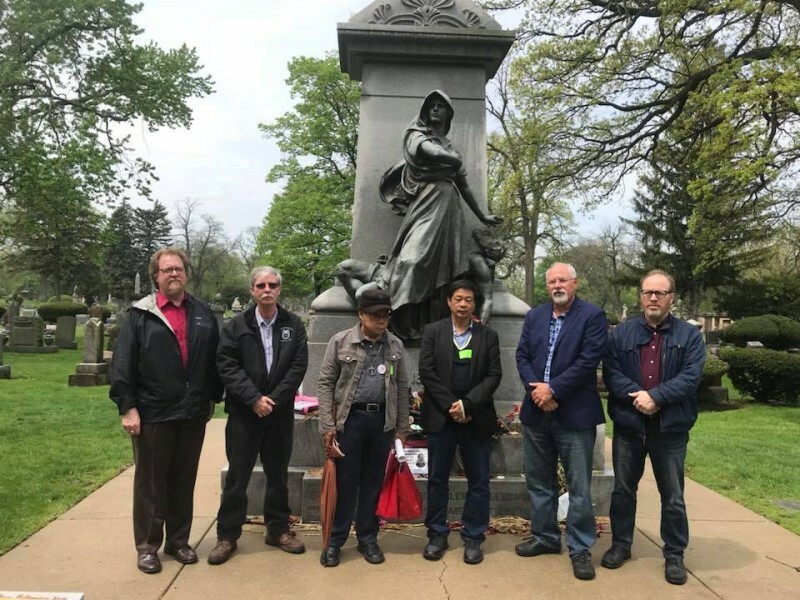 Philippines labor leader visits Chicago to honor Haymarket martyrs | Fight Back! Chicago, IL - Elmer “Bong” Labog is chairperson of the Kilusang Mayo Uno (KMU), or May First Movement, one of the largest industrial labor federations in the Philippines. 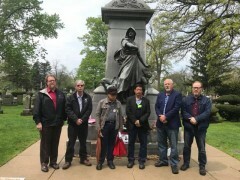 Ka Bong, as he is known by his kasamas, or comrades in Filipino, came to Chicago May 14 and 15 to pay tribute to the Haymarket martyrs. He was hosted by the Illinois Labor History Society, who invited the KMU to be the international union this year to place a plaque at the memorial to the Haymarket martyrs in Chicago. Ka Bong was able to meet with officers and activists in the Chicago Teachers Union, Service Employees International Union Local 73, Jobs With Justice, Workers United, the Asian Pacific American Labor Alliance, the Chicago Alliance of Charter Teachers and Staff, and others. He was also able to visit the most important labor monument in the world in Forest Home Cemetery, where the Haymarket martyrs are buried. Finally, he spoke at a rally of 1000 people on the 70th anniversary of the Nakba, or Catastrophe, when Zionist armies carried out the ethnic cleansing of 750,000 Palestinians, killing 13,000, to found the state of Israel. The protest was held to condemn the Israeli massacre of 113 unarmed protesters in Gaza, and the wounding of thousands more demanding the Right of Return for all Palestinian refugees and their descendants to the original homes and lands they were exiled from during the Nakba.